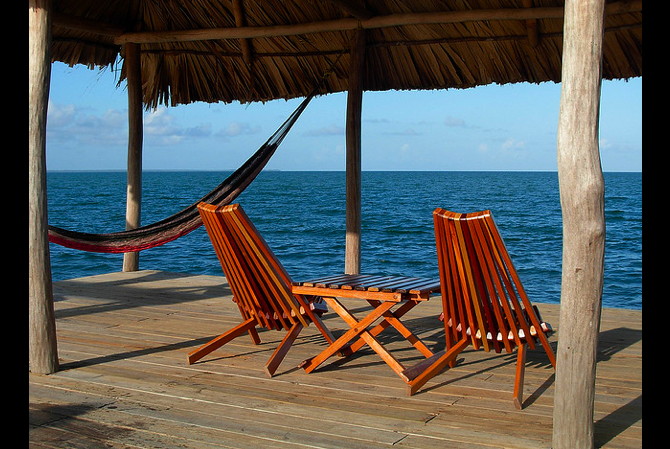 Hamanasi Adventure and Dive Resort was the first beachfront resort in Belize to receive Green Globe certification and is dedicated to being a premier provider of sustainable accommodations and eco-tourism in Central America. With its new green developments in the organic garden, construction and local economic development, the resort is setting the bar for responsible tourism. Food waste is a huge environmental problem worldwide. Hamanasi Adventure and Dive Resort aims to reduce their food waste and environmental impact of their world-class dining through their 40,000 square foot organic garden. The resort grows more than 32 crops providing upwards of 10 percent of the total food consumed on site. They are increasing this percentage annually as they design their menu around the growing crops. More than 50 percent of the food grown in the garden is started from seeds from produce harvested the previous year and the resort composts more than 100 pounds of food per day. Hamanasi’s organic garden is certified by the Belize Organic Alliance which ensures the principles of health, ecology, fairness and care are maintained. The resort will be installing a system to recycle and use its gray water to irrigate the garden. Hamanasi Adventure and Dive Resort believes the travel industry must benefit and empower local communities and that traditional cultures should strengthen and play a part in tourism. At Hamanasi, nearly 100 percent of employees are from Belize, and 60 percent come from Hopkins and the surrounding communities. The resort leadership believes in training staff and promoting from within generating economic prosperity in the region. It supports the local community by purchasing most kitchen supplies and produce from local businesses. Guests can also enjoy the Belizean organic soaps in rooms and shampoos and conditioners contained in hand made Belizean wooden vessels. Hamanasi even worked with the Hopkins’ village council to install a trash container to reduce littering. Furthermore, Hamanasi has sponsored a number of locals in learning to dive, many of whom now are employed as dive-masters throughout the country. The resort regularly participates in internships in partnership with schools in Belize. Along with help from their gracious guests, Hamanasi Adventure and Dive Resort also donates backpacks of school supplies to those who need them most in the village and packs of veterinary supplies to local Humane Society. Hamanasi “Green Team” consists of a group of volunteer staff members who proactively work to educate folks on sustainable practices and lifestyles while providing help where it’s most needed in the local community. In order to promote eco-tourism in Central America and an overall sustainable lifestyle the Green Team worked several festivals in town starting conversations and answering questions about recycling, composting, organic gardening, vermin-culture and threats to the reef. The resort’s property is on a coastal littoral forest – one of the most threatened types of forest in the world. Usually, these forests are cleared for coastal development. But for Hamanasi Adventure and Dive Resort, local ecology and sustainability was of upmost priority during construction. Rather than cutting down the forest when more rooms were needed they built amidst the trees, making for incredible unique treehouse accommodations. Trees are nature’s air conditioners, as well as beautifiers and homes to countless birds, bats, lizards and orchids. 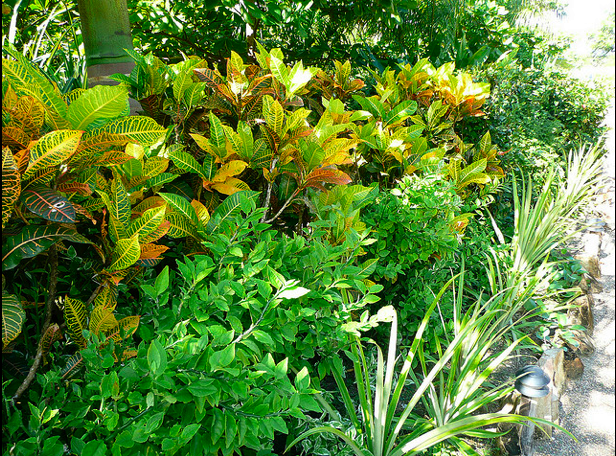 They are critical in minimizing erosion and nourishing the soil. On the beach, Hamanasi Adventure and Dive Resort kept a strip of vegetation roughly six feet wide after the high tide point. This greatly reduces erosion and minimizes silting, which chokes the reef. Left alone, Belize’s beaches would be covered with vines, a variety of fruit, sea grape and coconut trees and various flowers. The resort values keeping these items in their natural state rather than clearing the oceanfront like many mainstream resorts. Hamanasi has also set aside more than ten acres as a nature preserve. Beyond the major facets of their sustainable initiative, Hamanasi reduces use of electricity and water at the resort from the naturally well-lit building designs to daily practices with housekeeping. They recycle as many post-consumer products as possible, reusing glass to create stepping bricks, recycling soap as a natural pesticide, and more.